It’s known as “The Run for the Roses” and “The Most Exciting Two Minutes in Sports.” In 2018, the 144th running of the Kentucky Derby falls on May 5. Churchill Downs in Louisville, Kentucky, will see a field of the finest Thoroughbred horses in the world compete for the first jewel in the Triple Crown. 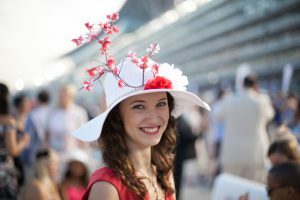 Well-dressed women and men are part of the Kentucky Derby tradition and they’re what make this a prime people-watching event. Derby creator, Merriweather Lewis Clark, had a vision that his new horse race would rival the horse race events he had attended in Europe. He encouraged the patrons to wear formal attire or “full morning dress.” For men, this consisted of a cutaway coat, waistcoat, striped trousers, and a top hat. The women wore dresses of the day with coordinating hats. And so began the tradition that continues to this day! Stage your own hat parade! Hats are an important part of the pageantry of the derby. The fashion has changed over the years, with hats getting smaller, then larger and even what some would consider outrageous. Now it seems “anything goes.” Both men and women use their hat style to make a statement. Your students may enjoy creating hats or fascinators—a more recent trend in headwear— for the day. 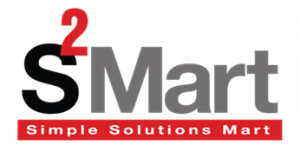 (Or maybe you want to make one for yourself!) Check out these hats made by second graders using paper sculpture for some ideas to use in your classroom. 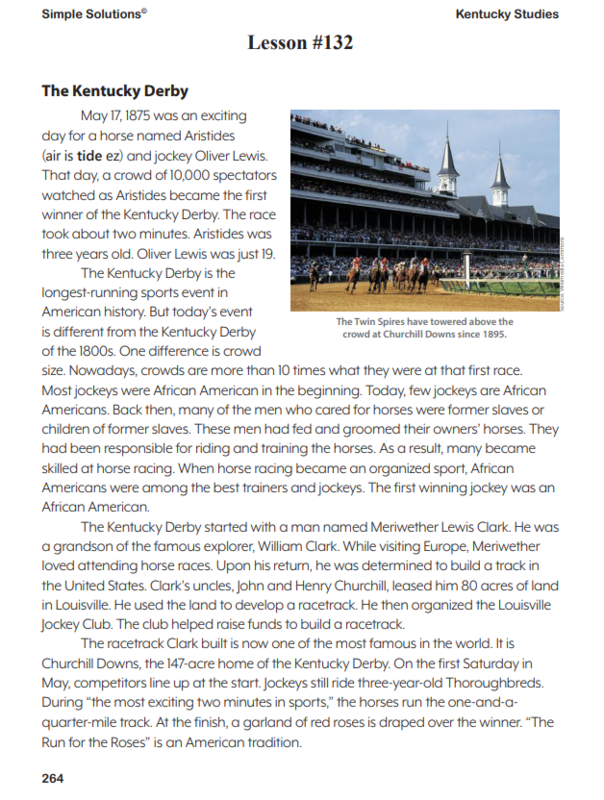 The newest addition to our Simple Solutions line, Simple Solutions Kentucky Studies for 4th grade, features a passage and question set about The Kentucky Derby. Get it here. 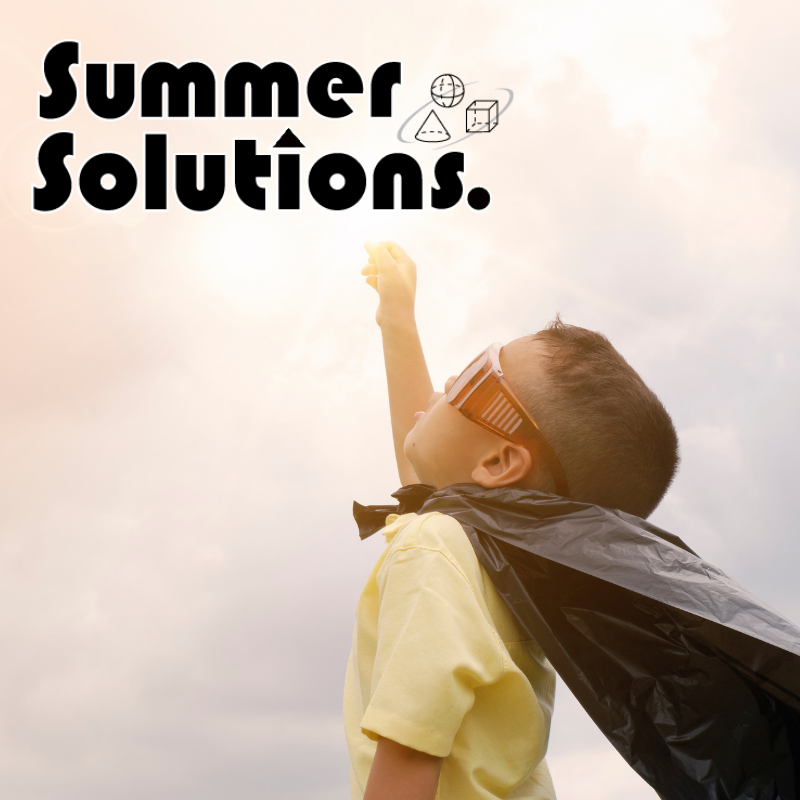 You can view samples of our new product, available for the 2018-1019 school year, on our website.